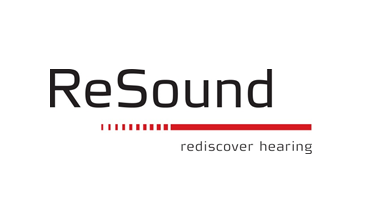 In a press announcement today in Copenhagen, Resound announced the launch of their updated superpower range. They are bringing the 3D platform to the Enzo range. The release of the Enzo 2 was welcomed and celebrated by many experienced users. We would imagine that the Enzo 3D will be the same if the success of the LiNX 3D is anything to go by. Let's take a look at the announcement. So Resound say that the devices which are "based on GN Hearing’s 5th generation 2.4 GHz wireless technology and GN Hearing’s 3rd generation binaural directionality, ReSound ENZO 3D has been proven to allow users to experience 60% more clarity of the sounds around them and 60% better speech understanding in noise". While we always take manufacturer's claims with a pinch of salt until we experience the goods. We would have to say based on our experiences of the LiNX 3D, these claims will have more than a little weight. The statement said that the Enzo 3D Made For iPhone hearing aids are now available in North America and that availability in all primary world markets would quickly follow. The introduction of the 3D platform to the Enzo will mean the same sound quality and the groundbreaking comprehensive remote fine-tuning feature is now open to users with a severe to profound hearing loss. The new ENZO 3D will have their 3rd generation binaural directionality, giving hearing aid users with severe to profound hearing loss pretty excellent sound quality and improved clarity in any environment. Steve has been impressed with this system in the LiNX 3D, he feels it delivers pretty good spatial awareness and is part of his success at hearing speech in noise. This was a really groundbreaking feature when Resound introduced it. It offers in-depth and comprehensive fine-tuning remotely through the accompanying app. It simply means hearing care wherever you are. Enabled by ReSound Assist, this feature allows Enzo 3D users to stay in touch with their hearing care professional wherever they are. It will allow them to receive on-the-go hearing care and new settings securely via the cloud without having to schedule and travel for a clinic appointment. ReSound Assist is accessed via the ReSound Smart 3D™ app, (available on the App Store and Google Play), which was launched with the LiNX 3D. The app allows users to easily personalize and control their sound at anytime on-the-go directly from a smartphone. Users can also stream phone calls and music directly (no streamer) from their Apple smartphone or iPad to their ReSound ENZO 3D hearing aids. They can stream from Android devices but they will need an intermediary streamer. ReSound say that the ENZO 3D is the smallest and most powerful superpower hearing aid available, and also a Made for iPhone Cochlear compatible bimodal hearing solution.